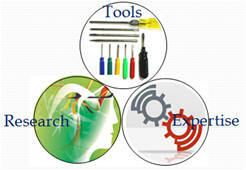 ITEK’s ERP Center of Excellence (CoE) is a team of innovative minds and experts. We use a service-oriented delivery model to deliver true business value to our customers. Our rich experience spans global implementations, upgrades, rollouts, application maintenance and support, consulting services and business transformation engagements. The CoE studies emerging technologies and identifies ways to leverage technologies for faster and best-fit solution implementations for our customers. Our continuous investment in the CoE brings value to our clients with the delivery of innovative and cost-effective solutions. We have strong expertise in building solutions on leading ERP solutions such as Microsoft Dynamics NAV, AXAPTA and other CRM tools. In addition, we have implemented the industry standard retail solutions LS Retail and Cenium, for Retail and Hospitality industries. Our functional consultants have experience in Purchase, Sales, Branch Operation Management, Distribution, Production Planning and Control, Inventory Management, Merchandising, Loyalty Management, Promotions, Financial Accounting, and Payroll.